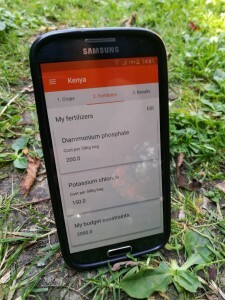 The solution was to turn the computer version of the fertilizer optimization tool into an application, or app, that can be downloaded from Google Play store for android devices such as a smart phone or a tablet. 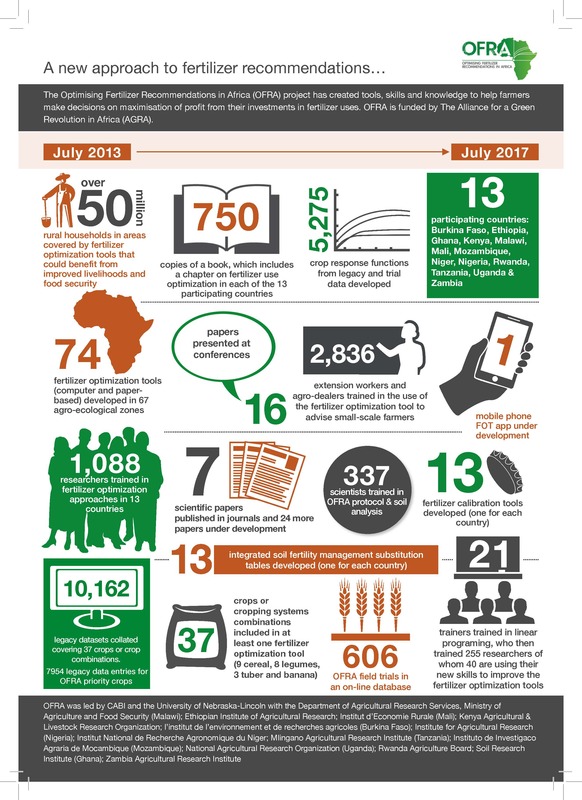 CABI successfully applied to the Global Challenges Research Fund (GCRF) for funding to develop the phone app version of the optimization tool. 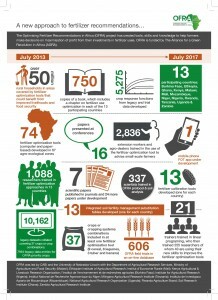 Tim Beale from the Plantwise Knowledge Bank team at CABI head office is overseeing the development of the app, working closely with the project partners in Africa. The app will give a calculation for an expected return on investment and make suggestions for the most profitable breakdown of crops given the funds and land available. 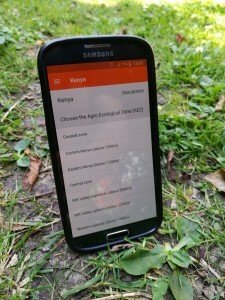 The farmer can then be sent an SMS to remind them of the recommendation that was created. 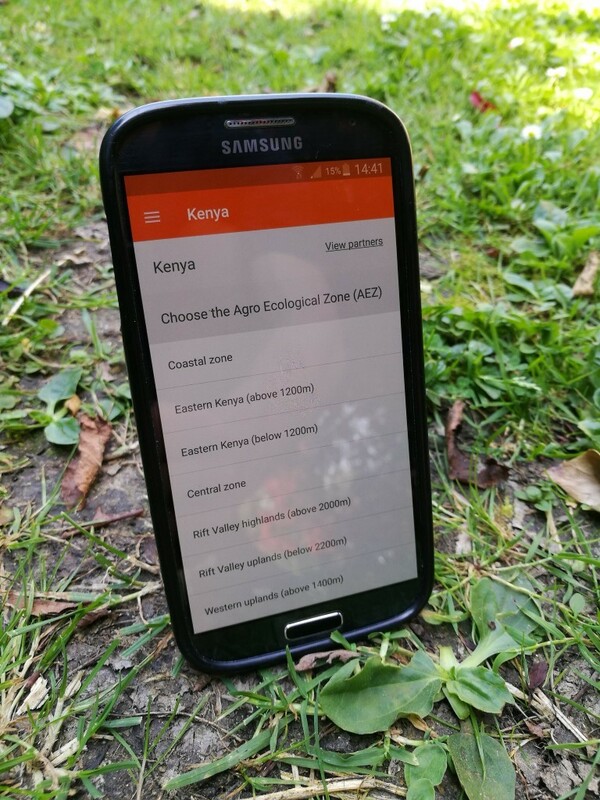 If the app does not come up with a recommendation that meets the farmers needs they can go back and change any of the variables to better reflect their farming objectives. One of the key issues is the fertilizer available locally. Fertilizer companies are experimenting with new blends all the time. So, the app can be programmed to include any new fertilizer that is developed. The development and scientific lead for the OFRA project is the University of Nebraska-Lincoln, they have generously allowed the algorithm they developed, to be used to create the new app. The research and development leading to the development of 66 fertilizer optimization tools in 13 countries was funded by AGRA. The app is expected to be ready for testing in early August 2017.